The Aluminum ADR/EN 3.5” (89mm) Pneumatic Interlock Coaming Valve is designed as a positive vapor recovery/transfer valve and is tested and certified to EN13082:2001 with markings per US DOT 49CFR§178.345-5(f). The sequential interlock design allows the vapor valve to be plumbed in series with the loading or unloading valve and the compartment vapor valves. If an interlock feature is not required, the outlet port can be plugged and the valve will function as a basic non-interlock coaming valve. The coaming valve features exceptional flow with an inward opening disk and a tapered seat to ensure a tight seal. An aluminum body with stainless trim, FEP Teflon® main seal and fluorosilicone air cylinder seals offers compatibility with a wide variety of products. ** The mounting flange is a threaded-on style with slotted holes. 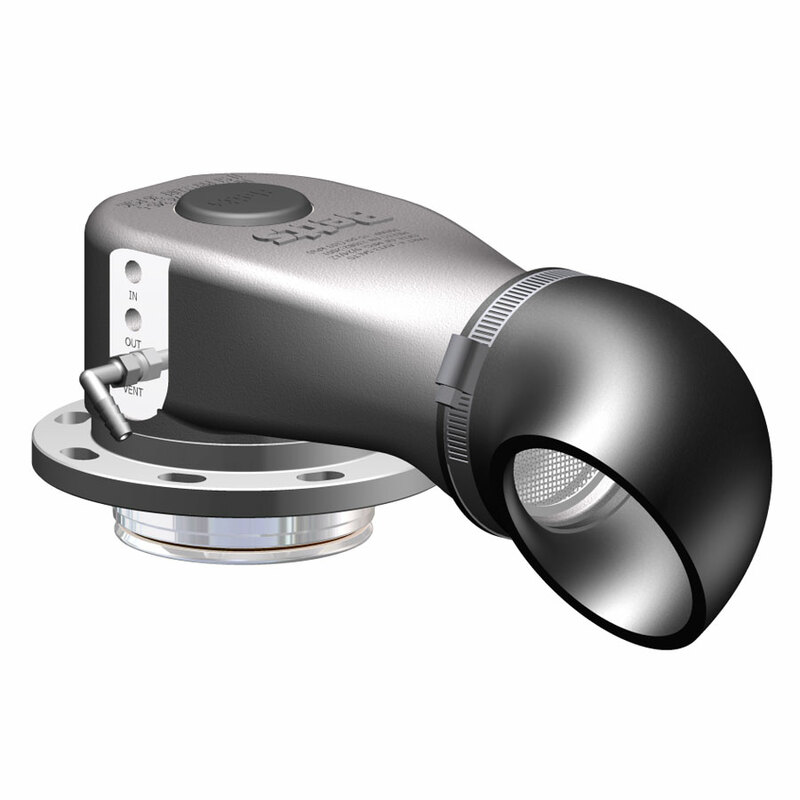 The threaded flange allows you to orient the mounting of the valve as needed and rotate the body out of the way to access the bolts under the discharge snout. Once the bolts are secure, rotate the body back into position and tighten. The air connections are 1/8” NPT.